Upon arrival at the Beijing airport, pickup by our English speaking tour guide and drive to hotel. Free time for the rest of the day. Recommend you to walk around Wangfujing Street, the most busy shopping area in Beijing. Sightseeing tour with a private car with driver and a English speaking tour guide. 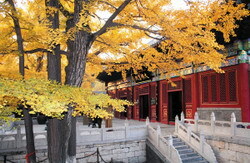 Visit all must-see attractions in Downtown Beijing. In the evening you will enjoy a fabulous Kungfu show in the Red Theater. The highlight is the visit to the majestic Badaling Great Wall. If you prefer, you might also choose to go up and down the mountain by cable car, the extra cost of cable car (RMB 50 one way) will be at your own cost. This sector is the first opened to tourists and the best preserved. Fully restored in 1957, it can be seen how it looked when it was first built in the Ming dynasty. 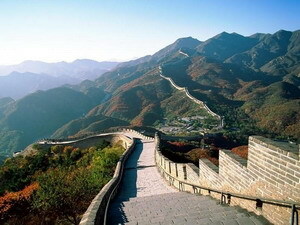 Set in a steep, forested mountain range, Badaling offers superb views and good hiking experience. 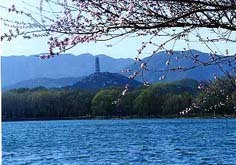 Moring tour to Summer Palace. Later today you will be transferred to Beijing airport for your flight to your next destination.